Fitness and chill? ClassPass is a subscription service that now lets you live-stream workout routines at home. In a statement released on Dec. 6, ClassPass announced the launch of ClassPass Live, a streaming service that grants you and your mobile device access to instructors and workout routines you want to see. If you didn’t know, ClassPass is a subscription service where you can access fitness routines through your smartphone or tablet. Through the service, you can find all the fitness routines and programs happening in your local studios or gyms. You can even create your perfect workout schedule and connect with others, friends or fellow fitness enthusiasts, for a new exercise experience. In the statement released by the company, CEO Fritz Lanman explains that the new program was launched to provide existing ClassPass members with more in-home resources and new members with the opportunity to experience immersive workout routines at home if they prefer. With ClassPass Live, you’ll never have to leave the comfort of your own home. Live-stream a yoga routine in the living room, or quickly stream a routine if you can’t fit a trip to the gym into your schedule. You can live-stream a routine whenever you want, whenever it’s happening in real-time. Of course, you can always take the “free” route and stream fitness videos on Youtube. And it might not be the right service for you if you enjoy personally interacting with your trainer. 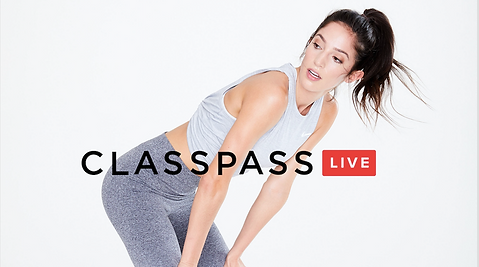 But if you like staying fit and staying indoors, then ClassPass Live is right for you. ClassPass Live officially launches in early 2018. It’s a $10 charge for existing members and $15 for new members. Get to sweatin’!